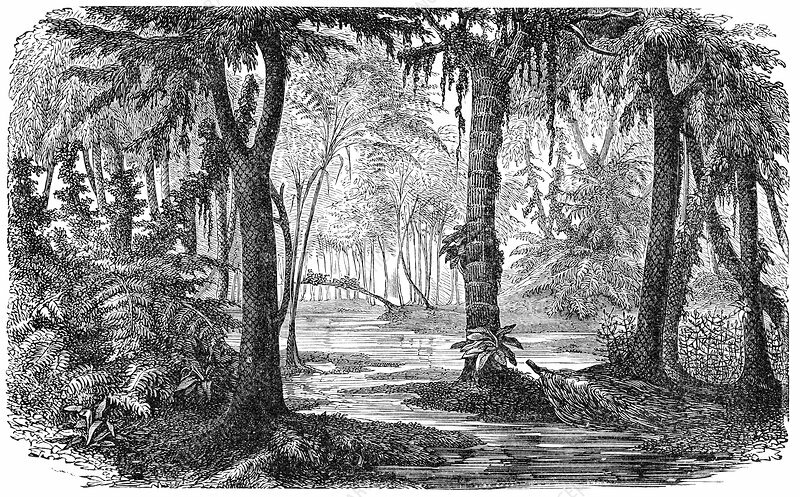 Carboniferous swamp, historical artwork. These swampy forests existed during the Carboniferous Period (360 to 286 million years ago). The plants found here included spore-bearing plants such as lycopods and ferns. The remains of these forests, compressed over geologic time, gave rise to deposits of coal that were later mined and used as a fuel. Artwork from the third edition of 'Les Entrailles de la Terre' (1902) by French author Eugene Caustier.